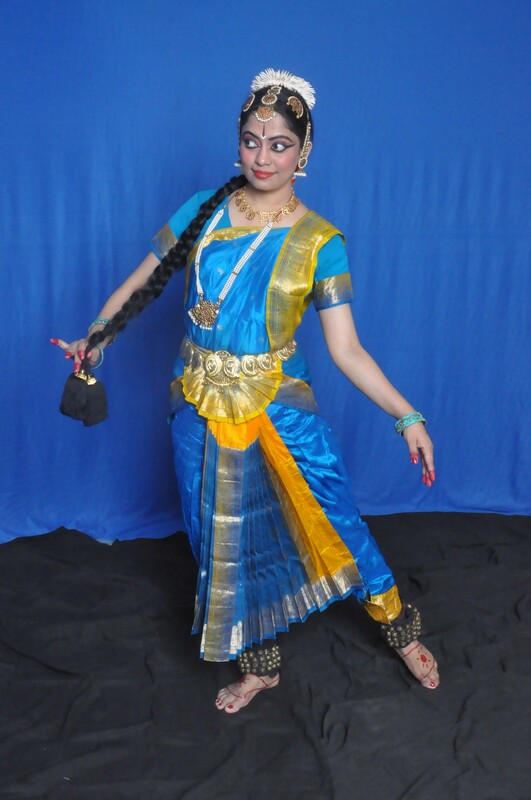 Sarikha Ajay nee (Shetty) has been trained at Kanaka Sabha Performing Arts Centre in Bharata Natyam and Kuchipudi dance style under her guru Dr Smt Siri Rama. 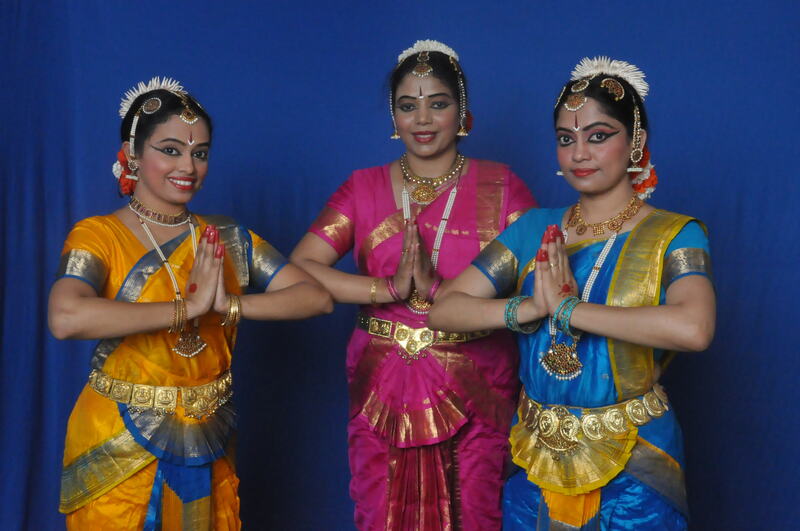 She has performed her Arangetram along with her sisters in 2002. Sarikha has performed several solo, leading and supporting roles in several group presentations organized by the institution and other organizations in India and Abroad. Recently, along with her sisters performed in a unique production Tri Dhara to critical acclaim in different auditoriums in Mumbai. 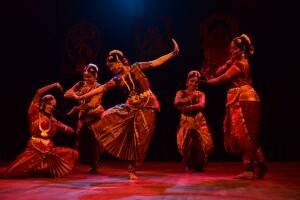 She has performed for prestigious dance festivals in India like Natyanjali festival at Chidambaram, Tanjavur, Tiruvarur, Kumbhakonam, Tir unallar and Nagapatinam and Bharatiya Vidya Bhavans 120th Year celebration (Chennai) in Tamilnadu, Mumbai Festival and Kala Ghoda Festival, Powai Festival, Chembur Festval in Mumbai, Yashoda festival (Trivandrum) Kerala. She has been invited to perform for Corporate Events such as Green Ganesha by Times of India, and Chanakya’s Chakravyu by CIPL Mumbai. She was part of the team performed for World Poultry Congress Delhi, A ll India Vegan Festival Murudeshwar, Karnataka. She has played key roles in many Thematic presentations of the Institute like Mriga Jataka, Bhuddha Margam, Tri Shakti, Tri Guna, Vishwatma. Also been part of other group productions of the Institute like Ramayana performed at multiple avenues in India and abroad, Shiva Parvati Kalynam, Krishna Leela, Venkateshwara Kalyanam, Buddhavatara in Mumbai and Delhi. She was part of Dance Drama production Buddha Charita performed at Hong Kong University and HongKong Cultural Centre and classical and Folk Dances at several Regional Centres in Hongkong. 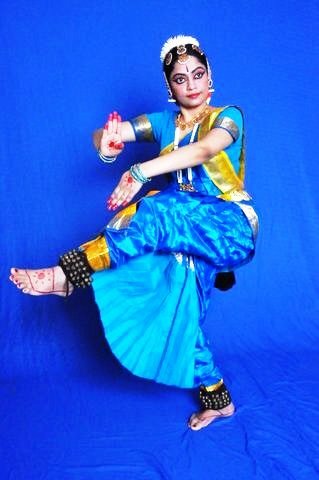 She also participated in various Dance productions in Singapore like Maya Dhwani organized by SIFAS, VESAK Day celebrations and Ram Katha performed for 60 years celebrations of SIFAS. She was also a part of Chinese Opera Ramayana production in Singapore. She is a graded Doordarshan artiste. She is a dance instructor at Kanaka Sabha for more than 10 years. She has been part of the core committee organizing Natya Sagara (A National level classical dance competition) by the Institute for 7 years. She has a Masters degree in Financial Management from Jamnalal Bajaj Institute of Management and is currently working with Intellect Design Arena Ltd, Mumbai. © 2015 Kanakasabha.com - All Rights Reserved.